"Book Sales - Procedure and Information"
Chad is pleased to offer two books that schools are able to sell before, during, or after (or all 3) his visit. 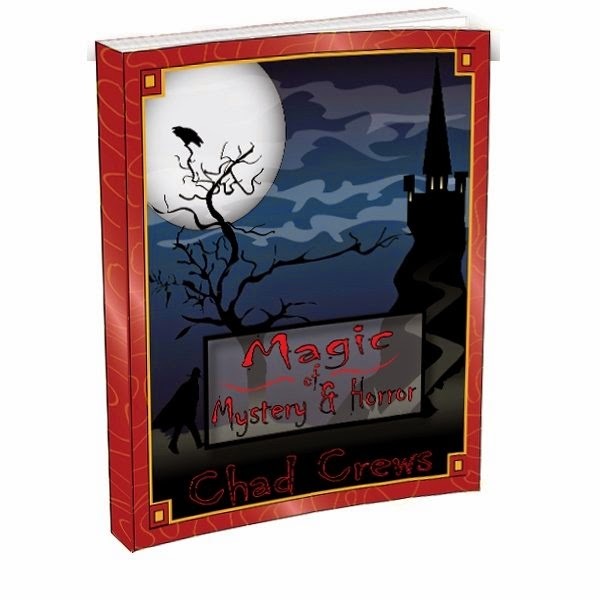 For middle schools, Chad's book "Magic of Mystery and Horror" is a perfect way for students to learn some strange and unusual magic tricks similar to what they see in the show during Chad's visit. For elementary schools, Chad offers his book "So You Want to Learn Magic: The Sequel" which contains several easy to learn tricks along with all the materials they need to do the tricks (the materials are in the back cover of the book). Both books are $10 and the school keeps $3 of every book that is sold!!! All you need to do is let Chad know that you are interested in selling his book and he will email you the one page order form and let you know the details! There are several ways to promote the books, and many schools have made back a significant portion of the program cost simply by participating in the book sale! Librarians: The summer of 2018 is complete with programs in almost 100 libraries! After 15 years of performing programs for the Summer Reading Library Program, Chad is now retiring from summer libraries in order to stay home with his four kids! Thanks to everyone who hosted a program over the last many years - it has been a blast to perform for you! Educators: Chad is excited to offer his "Reading ROCKS!" program to elementary schools for the 2018-2019 school year, and the new "Nevermore: Tales and Poems of Edgar Allan Poe 2.0" as well as the "Haunted Christmas" programs for middle/high schools along with both versions of "Authors of Mystery and Horror," "Something Wicked This Way Comes: A Shakespeare Experiment," the original "Nevermore" program, and "Once Upon a Time: Grimm's Fairy Tales."